For decades, modern medical and scientific discoveries, and therapeutic discourse were published in journals/books. The paper versions were widely circulated among the scientific community and were the basis for new research. In ancient history hand-written and printed empirical experiments and commentaries were the physical storage and dissemination of the knowledge of the time. It took time and money to get knowledge. Times have changed, it is now an era when new technology and information can be acquired nearly instantly. Scientific, medical, and engineering innovations have to be accessible by scientist and lay population alike. Everyone should have an equal opportunity to newly acquired knowledge that is ready for public consumption. The burden of scientific rigor remains in the hands of the generator of the science being disseminated, as well as the high level of scientific scrutiny and integrity of the reviewers. A number of new scientific journals have popped up in every field, although the quality of the journals vary. However, publication in all these journals is expensive and the distribution may not be as widespread (and free) as the brochure had suggested. 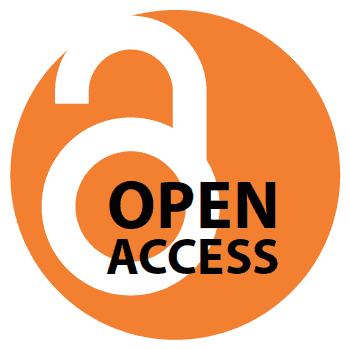 Open Access (OA) publication is the most welcome solution to the growing demand for quality publications freely accessible by anyone. The scientific scrutiny for most OA journals is as high as any printed versions. The bonus is: the deployment of ideas, technology, and comments have a wider and more far-reaching impact. My field is nanotechnology applications in medicine and engineering. I make every effort to submit to OA publications for the high quality of the review, the expedience of the process, and the broad/instant distribution. As an educator and scientist what better vehicle to teaching and intellectual discussion could there be, than a nearly immediate transmission to students/readers? Nanotechnology changes and evolves constantly and snags numerous complications along the way. It spans many disciplines and it is difficult to master them all. Nanotechnology in medicine is almost a contradiction in terms. Small technology and patient care, innovations that make people feel better. How to reconcile these two seemingly disparate worlds? Only an open platform can help experts from various walks of life view the documents, data, and comments. Only OA can expose the intricacy of these minute technological marvels. Undoubtedly, OA has opened a novel dialogue platform, a new way out of the artificially constraining, traditional form of publishing ideas. Now, the inherent delay between discoveries and distribution, has vanished. Open Access publication offers scientists a natural projection for innovative ideas in their respective fields.